Home » Uncategorized » Gift Basket! Elizabeth Gorski April 13, 2008 April 13, 2008 Comments Off on Gift Basket! 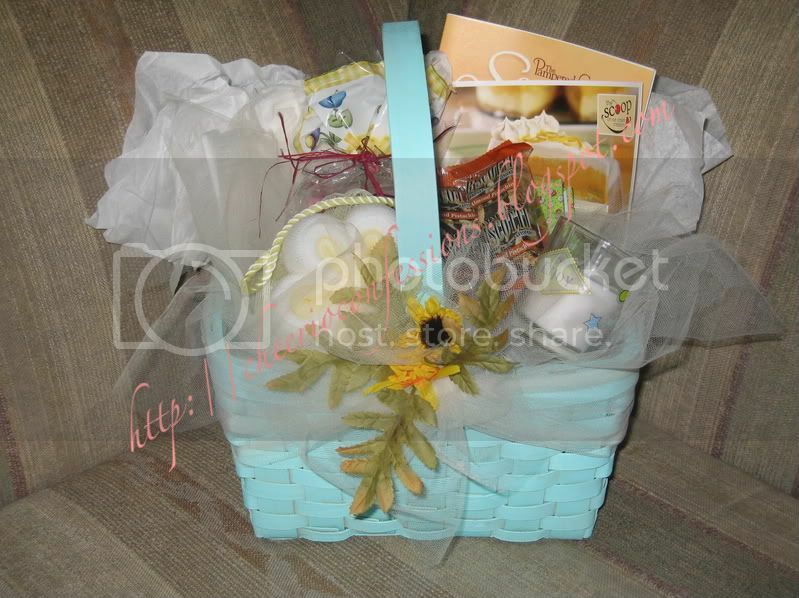 Did you know that you can ship a gift basket? Well, you can! On Tuesday Rob and I returned home from my weekly Dr. D appointment there was a box on the porch. I was confused at first because the return address label said it was from a basket company but surely you can’t ship baskets. Ha! I was wrong! 🙂 Of course, it was much more beautifully put together before I pulled everything out. And of course it didn’t occur to me in my excitement to take the picture first. (lol) Inside I found biscotti, a little green photo album, a scented candle (which Rob promptly scooped up and lit), a loofah, and scented bath oils and things. It’s all incredibly relaxing. And I just love it! I’m sorry. This dies here.